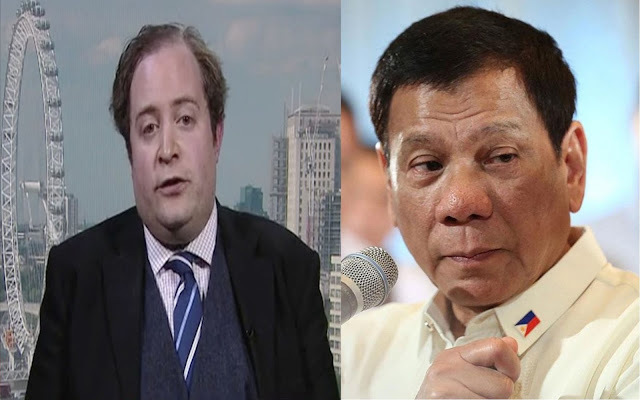 Adam Garrie a political analyst of the United Kingdom once said that “I LOVE IT when DU30 trolls the yellow media like this”. Apparently, Garrie was referring to President Rodrigo Duterte’s discretion as he hid the name of the weapons dealer that sold the Philippines 5000 new fire arms. In a world where knowledge is of utmost importance and the lack thereof in this occasion causes the former trading partners of the Philippines fear, Duterte is indeed one of a kind. “We are getting firearms somewhere. I am not at liberty to divulge it. But in the next few days, we will have about 5,000 more, a shipment coming from a friendly country. We will survive and we will win these pocket wars. And we will be a great nation someday,” Duterte stated in his home town. For this century, Garrie said, “…security independence is vital for all nations that seek to asser a more sovereign foreign poly and trading policy.” He then positively noted Duterte’s termination of the Philippines’ dependence on the United States weapons. And on top of that, China is soon to be the undisputed leading economy of the world, it’s geographically closer and China is in favor of mutually beneficial trading. The strategy of swapping out the US for China is viewed with utmost shock, but China is also willing to throw away old conflicts for the sake of the future in trade and cultural exchange, while the US is trapped in their own paradigm of colonial mentality. “In this sense, the best trade that all nations can make is the swapping of territorial conflicts for agreements based on trade and cultural exchange.” Garrie stated. Without further ado, Garrie ended stating that Duterte again demonstrated intellectual superiority by keeping the supplier of new weapons hidden which leaves peace. Where the only doors are shut to those countries who are dishonest, abusive and aren’t willing to seek mutual beneficial growth.